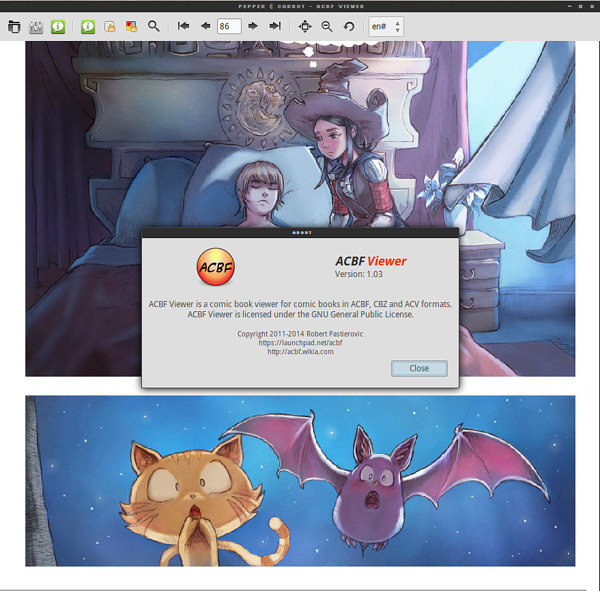 To view it, people need to install ACBF Viewer application. It is free/open source and can be downloaded for Linux, Windows and Android. For Pepper&Carrot, Robo Pastierovic created comic panels definition and 2 text layers English one and a Slovak translation. If people want to contribute, they may create text layers for different other languages. They just need to understand the XML structure of the ACBF file which is inside the CBZ archive. It should be pretty easy as the text-bubbles polygons are already defined and viewer application calculates the size and placement of the text automatically. Thanks for the article David. 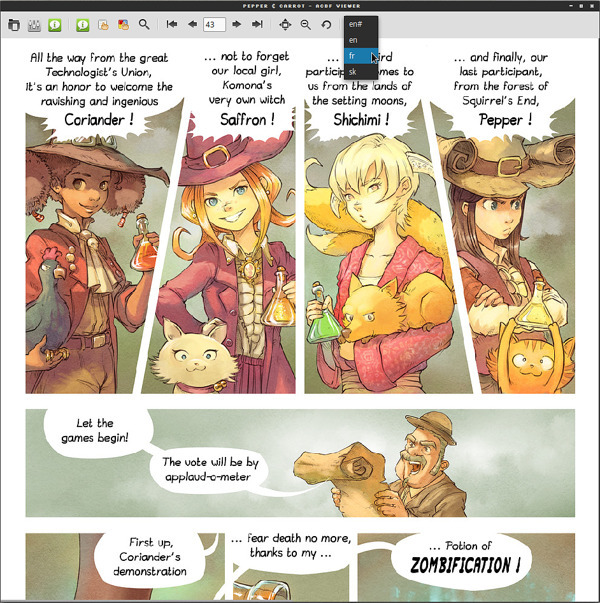 For best reading experience I recommend using the Android app, which can do smooth panel by panel animation.